Pls buy the artbook to support the artist! I did a new fanart of Zero... do check it out! omg! every one on this scan looks very very sexys >o<! good scan! tnks! i love it! sigh.. such a nice pic.. i wonder if anybody'll be willing to clean up the words... i'll be forever grateful! One word...hot :) Thanks for sharing! thanx for sharing, one of my fav pic in vk. 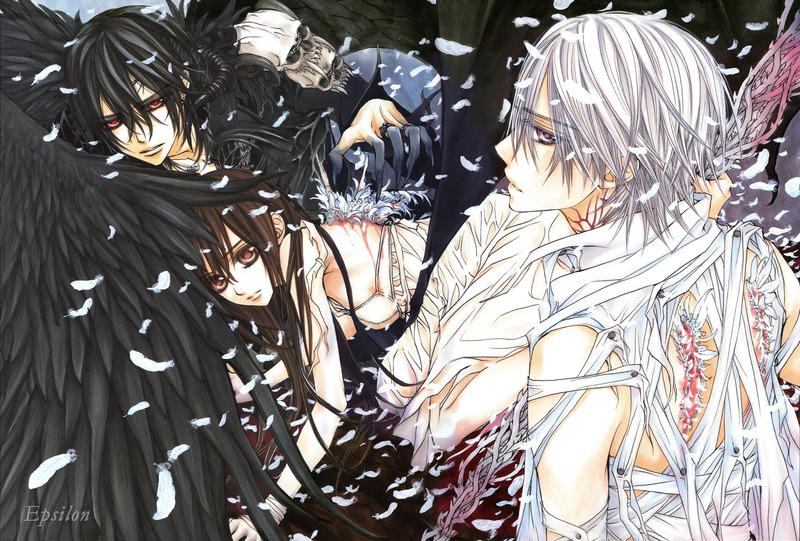 really nice pic, i love how hino drew kaname as the devil with zero and yuki being the angels. Thank you so much for sharing this pic!